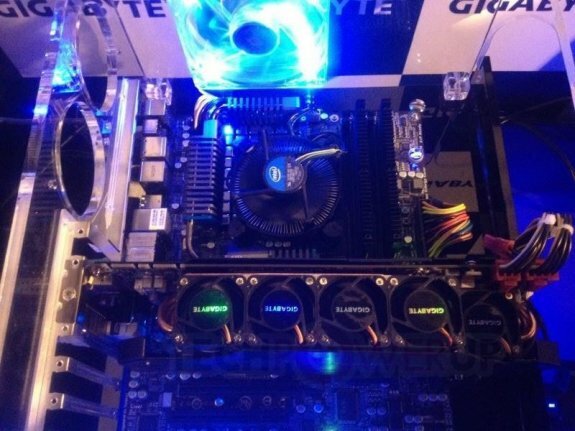 TechPowerUp has some photos of Gigabyte's WindForce 5X cooling solution which will likely debut on the upcoming GeForce GTX 680 SuperOverclock graphics card. This new cooling solution features five 40mm fans arranged perpendicular to the plane of the PCB, on the top side of the video card. This unique arrangement of fans ensures that hot air from the heatsinks are ventilated in a single direction and not all over the card (like with WindForce 3X), heating other components on the motherboard. The front-side of the card has just a swanky-looking molded brushed aluminum shroud. On the flip-side, the card spans across three expansion slots, and appears to be both taller and longer than reference design. 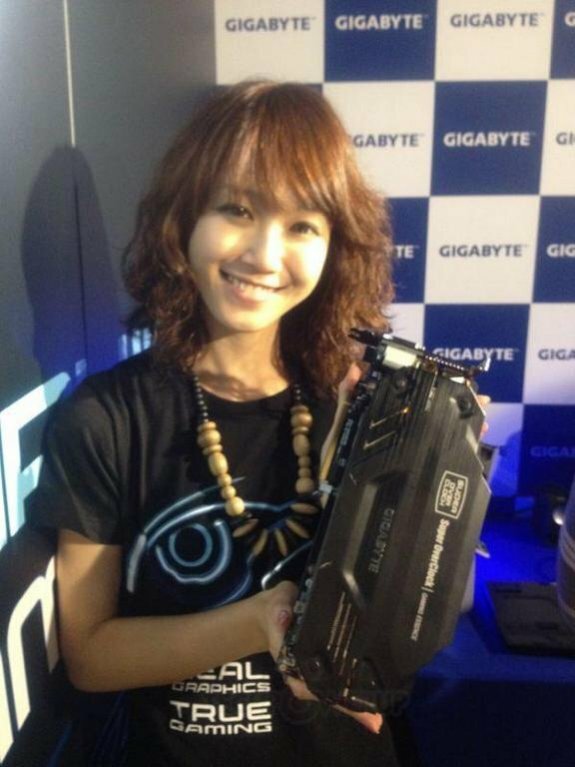 GIGABYTE's GeForce GTX 680, featuring this cooling solution, and aggressive clock speeds, will be launched very soon.